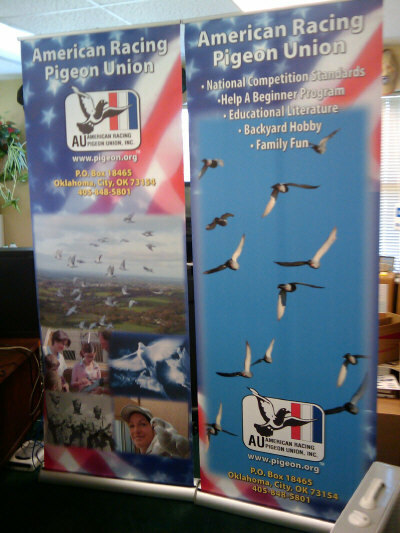 Readied AU Displays for use at Events, Functions, Fairs, Etc. They're easy to set up. 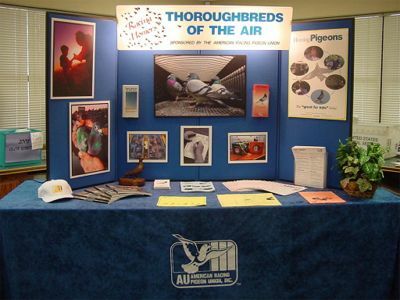 The displays are designed for use at fairs, pigeon shows, and mall exhibits, school presentations, or any place you want to present our sport to the public. 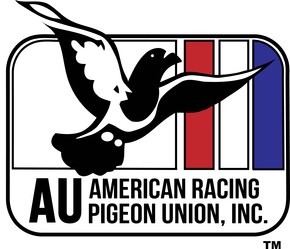 The AU has stepped up it's ability to service any club desiring to promote our sport to the public and to better serve the membership. Three display types are available through the AU office. The banner displays are easy to set up by simply pulling up and fastening as you would a projector screen. The easy to set up table top display comes complete with a back lit header, lights, and photos that attach with velcro. The display also comes with a table cover that has the AU logo on the front of it. The vinyl banners have both grommets and ties, and are printed on both sides, for versatility. 1. Contact the AU or the regional coordinator as early as possible and let them know the date you would like to use the display. If a display within your region is not available, one may be obtained from another region. 2. 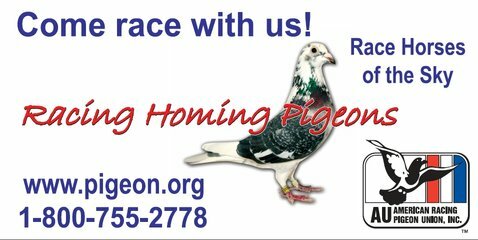 Send in your Written Request Form along with $50 for shipping and insurance. 3. Your club is responsible for returning the display to the regional coordinator and it should be returned "postage paid". The preferred method of shipping is UPS Ground.